German Chancellor Dr. Angela Merkel and Swedish Prime Minister Stefan Löfven visited the booth of the motion plastics specialist igus on the first day of the Hanover Trade Fair. Manufacturers often have a sense that there are inefficiencies on the plant floor, but find difficulty identifying them. They are correct—inefficient processes and waste happen every day in every plant around the world. In fact, the “hidden factory” phenomenon indicates losses due to workarounds, rework and inefficient changeover procedures can be as much as 40 percent of total company effort. An automated quick charging system called QCC (Quick Charging Connection) has been developed by Stäubli Electrical Connectors to enable autonomous recharging of Electrically driven Automated Guided Vehicles (AGVs). Scientists at Nanyang Technological University, Singapore (NTU Singapore) have developed a robot that can assemble the an IKEA chair without interruption in less than ten minutes. The robot consists of an Ensenso N35 3D camera from IDS and two robot arms. Camozzi Automation’s C_Applications division has employed its Smart Industrial Automation expertise to develop a pick and place unit for use in a car speaker assembly line. Stratus Technologies has unveiled the new Stratus ztC Edge a zero-touch, fully virtualised and self-protecting computing platform, specifically designed for industrial edge environments. Visitors to ABB’s stand at MACH 2018 will be able to see how the latest advances in robotic automation can help them find new ways to transform their productivity and efficiency. Articulated arm robots that can move around a factory floor on AGVs and linear transfer carriages that can direct and think for themselves will both feature among the products and solutions on the Mitsubishi Electric exhibition stands at Drives & Controls 2018. Alicat Scientific’s line of mass flow, pressure and liquid instruments can now be configured with the EtherCAT protocol. Users of Beckhoff PLCs for industrial automation can now connect Alicat devices with the high-speed and robust EtherCAT protocol. Alicat Scientific’s MCE mass flow controllers have been integrated into MDC Vacuum Products’ XpressStick MFC Gas Stick. Industrial automation solutions provider FANUC UK has launched its fastest four-axis palletising robot yet. The new CR1000 and CR3000 HMIs from Red Lion Controls are available in a broad range of sizes, from 4.3 inches up to 15 inches and feature a wide array of connectivity options to address the real-world challenges of today’s multi-vendor manufacturing environments. An automated pallet conveying system designed and installed by Gebhardt-ECS for one of Europe’s biggest paint manufacturers is enabling up to 100 loads an hour to be delivered directly from production to specific storage areas in a separate warehouse without intermediate handling. Guyson International has introduced a robotically controlled finishing station and powder recovery system – the Guyson PRS . Kalmar, part of Cargotec, has introduced Kalmar Key, an initiative driving what is said to be the terminal industry's first automation platform with open interfaces. KASTO recently showed off key storage and sawing innovations at the EMO show in Germany including an intelligent system for efficient use of energy in automated storage systems; an automatic version of the KASTOmicut swing-frame band saw, the A 2.6, and the high-performance KASTOwin pro AC 5.6 bandsaw. A new live art installation which challenges the dystopian views that many people have of robots was a feature at the Victoria & Albert Museum in London in September. Called Slave/Master, and part of the London Design Festival, it explores the edges of industrial robot/human interaction using robot performers, human dancers and projected graphics. Stahgruber, a German distributor os spare parts and tools and accessories to the European auto repair industry, has significantly expanded its European logistics centre with the help of automated materials handling solutions specialist TGW Logistics. Successfully applying a level of smart manufacturing will bring greater efficiencies and flexibility to any given production process and is a significant step toward ‘futureproofing’ a production enterprise, explains Chris Evans, marketing & operations group manager, Mitsubishi Electric Europe B.V. 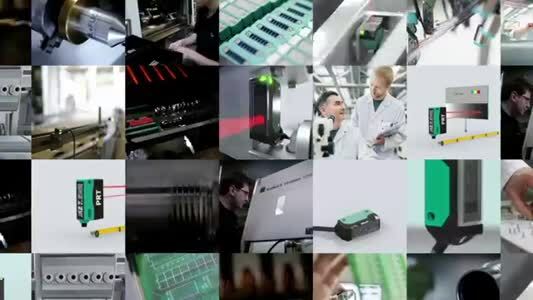 Automation Systems Division. Science fiction writer, Ray Bradbury once said, ‘Living at risk is jumping off a cliff and building your wings on the way down.’ Though this is an inspiring thought, it's unlikely that construction or even cognitive thought would be at the forefront of someone’s mind when faced with a precipice. Sometimes we need a push to tip us over the edge. Jonathan Wilkins, marketing director of EU Automation explores the top three tipping points in the realisation of Industry 4.0. End of the line for manual packaging?